Below are key factors in going back to basics to ensure your HACCP plan has the maximum impact on your Food Safety systems. 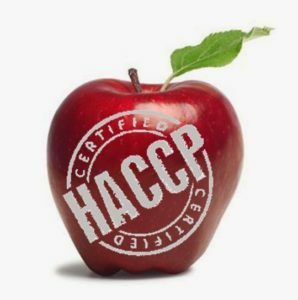 HACCP Team – Are the team members understanding HACCP? are they effectively trained? Who is part of the HACCP Team? is it just the company owner or the food safety manager? Good practice is for the HACCP team to include a number of roles. If you think you don’t have enough expertise, consider using an outside consultant. Make sure their knowledge is up to date. When was the HACCP last reviewed? – As a minimum the HACCP system must be reviewed at least annually to ensure it is up to date. New risks- Are you aware of issues within the industry that could affect your products? product recalls, changes in laws, new risks being identified? Does the HACCP flow diagram or risk assessment cover enough detail? -Does the flow diagram include all steps from purchasing, delivery, storage, production/work in progress, packing, finished product storage and delivery. Have you considered the risk of fraud and malicious contamination? Monitoring Procedures/records -Are these up to date? Have practices within the factory changed but these not updated? Are the CCP limits and corrective actions still correct? Is any old paperwork being used which has out of date information on them? Staff training -Do staff properly understand why a procedure is important, why the hazard must be controlled and if not what could go wrong and how this would affect the food safety of the product. Is staff training up to date, have staff completing the important checks changed, have the new members being trained in the monitoring procedure?